I had such a fun time putting this shoot together!! Jade is absolutely stunning! 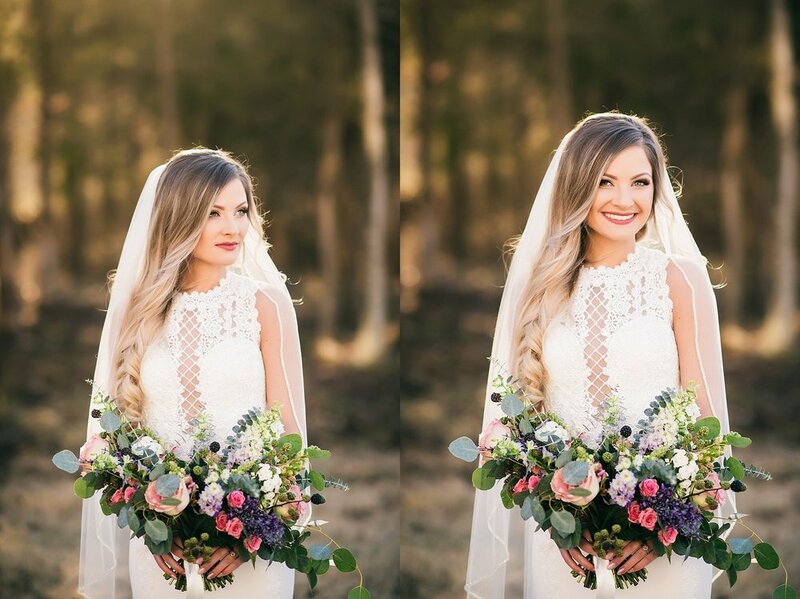 I wanted to create a romantic, whimsical bridal session inspired by Valentine's Day and Magnolia Belle Floral nailed it and brought my vision to life with that bouquet! I love the pops of purple and pink!! 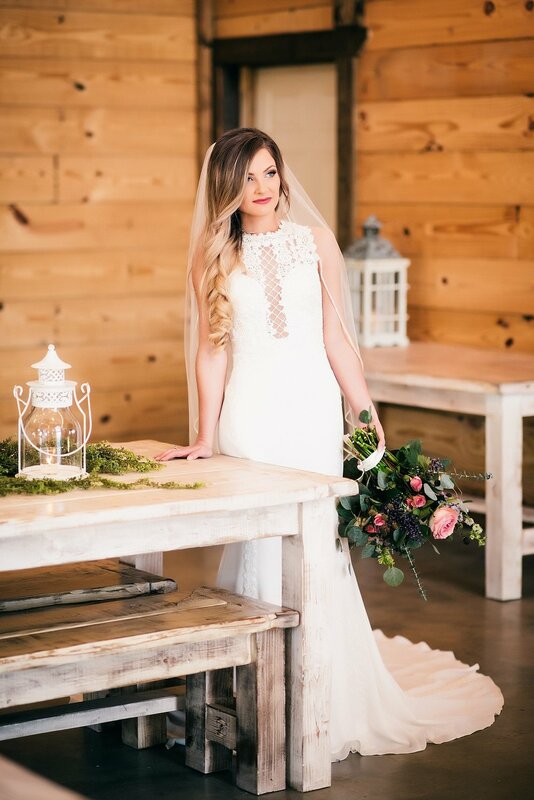 Heritage Acres Venue was the perfect location for this shoot and I'm so thrilled with how everything turned out. Oh and can we take a minute to appreciate that DRESS?? It's got to be one of the most beautiful dresses I've ever photographed. 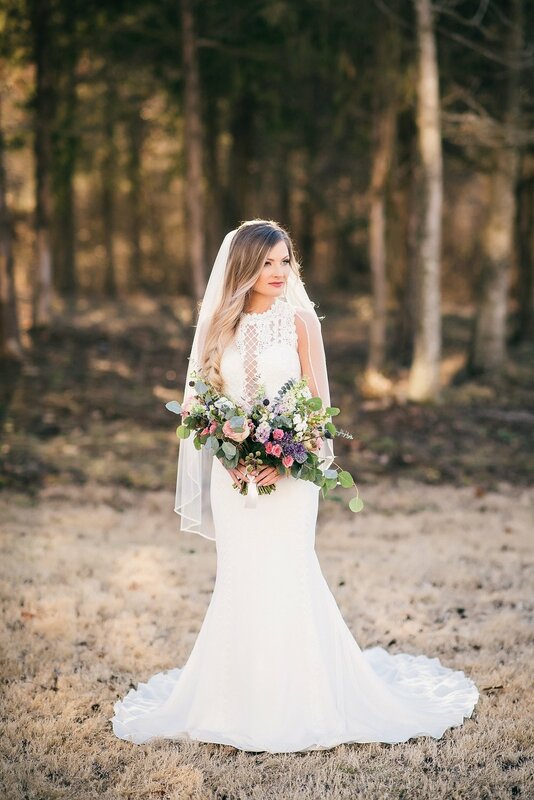 The Bridal Cottage in North Little Rock has THE best dresses in Arkansas! Be sure to check out the list of fabulous vendors at the bottom of this post. 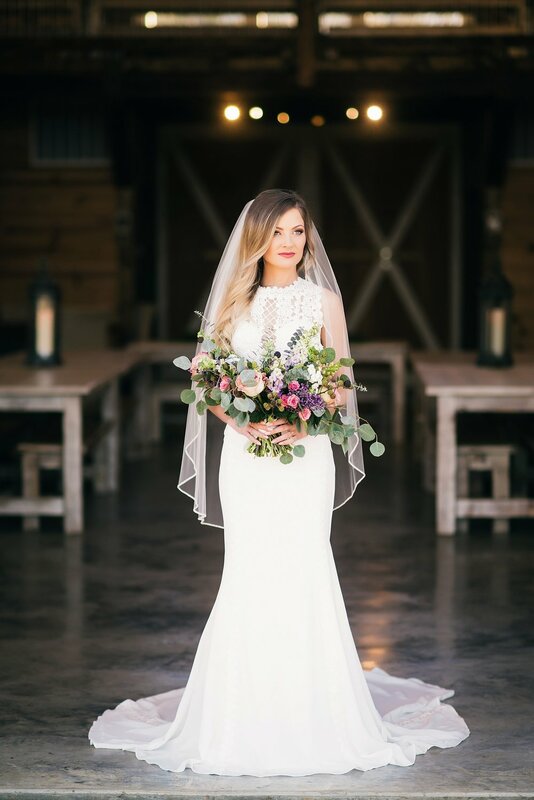 I'd recommend them ALL if you're getting married and needing an amazing team!